An appetizer, lunch or dinner. A recipe and accompaning video to help you prepare this great finger food. ** I like to pickle my shredded carrots in a jar of left over pickle juice. Sweet is my preference. assembly line to construct spring rolls. Fill a pie plate or large bowl with very warm but not hot water. sprouts, bell pepper and a small amount of noodles, about 1/4 way up from the bottom of the wrapper. 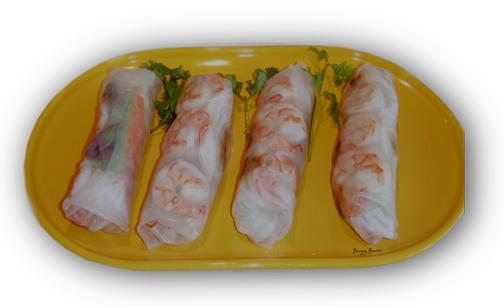 Drizzle a little Hoisin sauce over the filling, or spread on bottom end of wrapper before you start filling. other protein on top of leaves. Fold the sides in and tightly roll up like a burrito. *These items were bought at an Asian supermarket. almost any Asian dipping sauce,  from sweet and sour to a thick teriyaki. 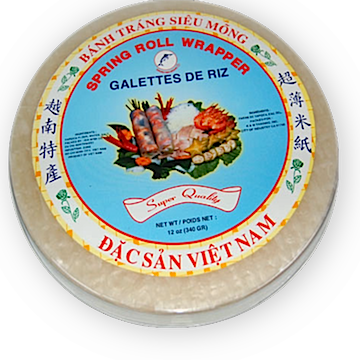 Below is the URL for a very good video on how to make your basic spring rolls.